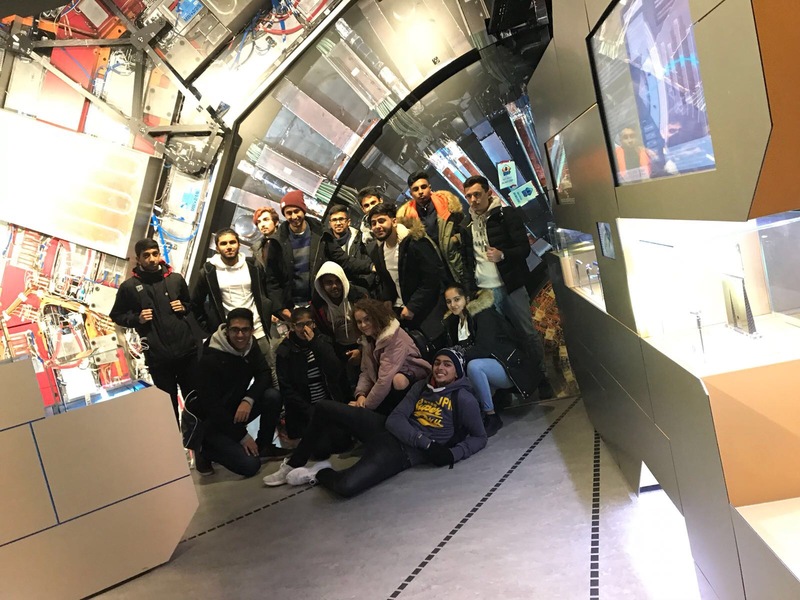 On the 27th November, 15 enthusiastic year 13 students, accompanied by Miss Gonzales and Mr. Patel went on a trip to CERN in Genève, Switzerland. CERN is a wonderful example of peaceful cooperation between nations. In 1953, 12 states ratified the convention which will see the birth of the largest laboratory to study the basic constituents of matter, in the world. It has now 22 full members and over 50 states in the form of associate or under a cooperation agreement. Over 600 universities and research institutions make use of the facilities and half of the world particle physicists carry out some research at the CERN. At 14:00 we boarded the flight from Gatwick airport landing at Genève at 16:35 local time. A short ride in the comfortable and free train took us to Cornavin, Geneva central station. Our accommodation for the next two days was only a 10-min. walk away. Formalities done and rules explained, we headed for “Il Fornello Napoletano” in Rue Lausanne. The stunning pizzas have made this restaurant a “must do”part of the itinerary. The owner greeted us in French, Italian, Spanish…. Geneva is also a place to check out your linguistic abilities. Fed and rested, we headed to Lake Leman, lit this time of the night by the bright lights of the luxurious hotels on its side. A chilly wind was blowing but spirits were high. On the second day, the number 18 tram took us to the CERN. The site is located between the Jura mountains and the Alps, in the border of France and Switzerland. Anton, a researcher from Bulgaria was our guide. First, a detailed introduction and then several visits to various locations around the 27 km long complex. At CERN, particles are accelerated at near the speed of light and collided. Scientists study the results of these collisions. Our students learnt how to isolate the particle, how to accelerate them and what to do with the tremendous amount of data generated (30-40 petabytes /year). I was proud to witness the students applying what they have learnt in lessons by asking very intelligent questions which were praised by our guide. We also visited the fantastic, newly redesigned Microcosm exhibition. Visitors, among other things, can now try to control the LCH (Large Hadron Collider) to simulate collisions. Cheerful after our visit, we went on to enjoy a night out. Shopping, eating, bowling and pool were on the menu. Our students by now were fully confident with the Genevan transport network. Tiredness was visible on the happy faces of the Kingsburians on this third and last day of our trip. 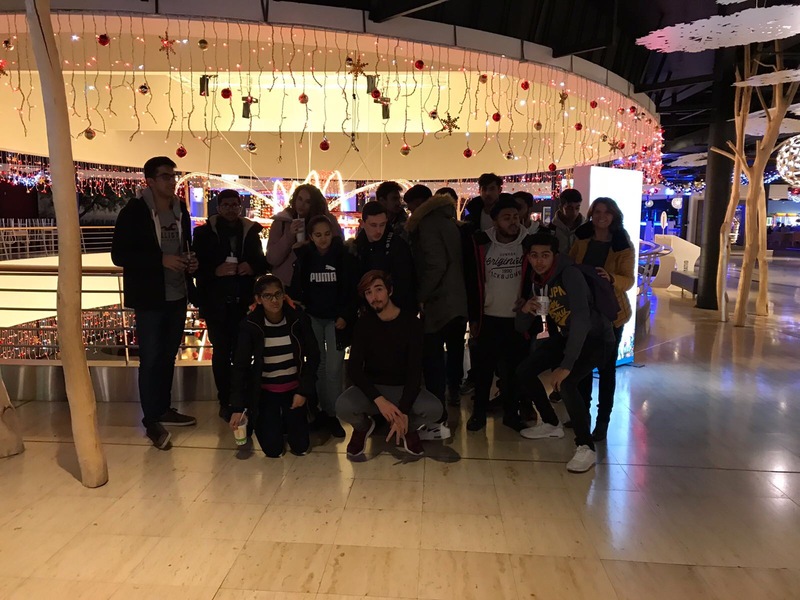 The trip to CERN is now a classic in Kingsbury and yet the mature and yet joyful attitude of the sixth formers has made this year one of the best. I would like to thank every student for their contagious enthusiasm and Mr. Patel for being such a good travel companion. This entry was posted in Kingsbury High School and tagged cern trip, Kingsbury High School by kingsburyhighlondon. Bookmark the permalink.